Early in my casting it was challenging for me to measure equal parts of two part resins and RTV either by volume or by weight. That said sometime later I started to measuring out equal parts like you will see in the video. It's quick, easy and for me has worked every time. If your interested in viewing the video then click on the read more link. Well I saw the picture to the right and thought it would be a fun build.So I started with a Dash hot rod body, a Dremel motor tool and some styrene. You can read about that here. 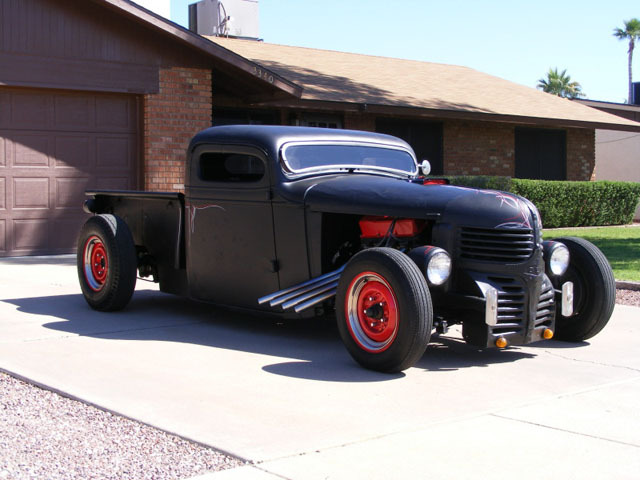 While I was building the Rat Rod I started thinking of the different versions I could build. I couldn't come to a decision so I said why not do them all. That leads me to resin casting the Rat Rod. I have recently modeled a Salt Flats Lake racer from a hot rod body. You can read about that here. Towards the end of that project I decided to build some IROC racers by resin casting the racer. I started with a Dash Avanti body. I have never cared for the look of that car. I got to thinking how I could modify it and give it a better presentation. After some thought and consideration I thought it may look better as a dirt modified racer. I worked on the modifications smoothed, sanded, polished and clear coated the mold master. This is my first attempt at casting a body using a two part mold. The pictures pretty much tell the story. Most of my information came from a Yahoo Group called Slot Car Casting.